Kick your next barbecue into high gear with a set of Corvette glassware with C6 crossed flags logo. 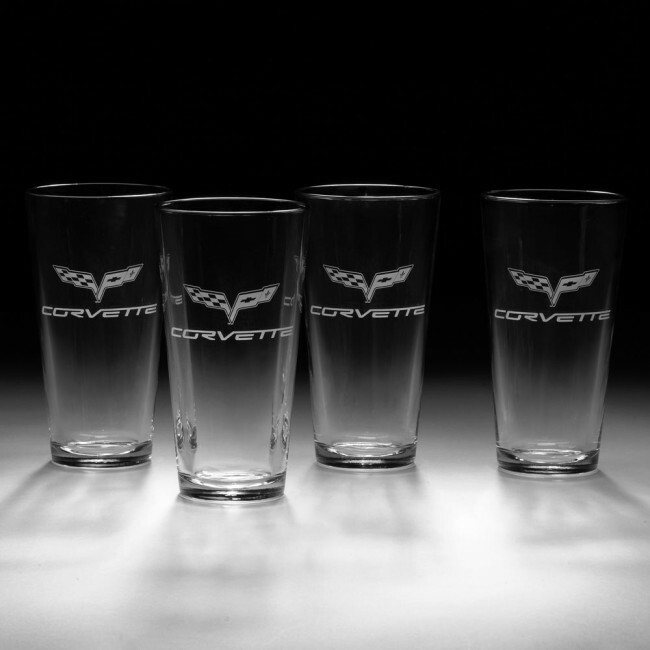 Set of 4 brew glasses. 20 oz.